What Do You Do When You Receive a Call or Letter from LVNV Funding? Who is LVNV Funding, LLC? What are others saying about LVNV? How can you deal with LVNV? What if LVNV is listed on my credit report? Being contacted by any company that demands money can be devastating. What if they do not formally contact you and the company is threatening to take you to court? How do you respond? What if you do not know how to respond, or that you need to respond? This could all happen to you if you are dealing with a company by the name of LVNV Funding, LLC. You could very well be in the middle of purchasing a new home when an old debt resurfaces, making your credit score take a hit that could damage your chances of securing a great finance rate. 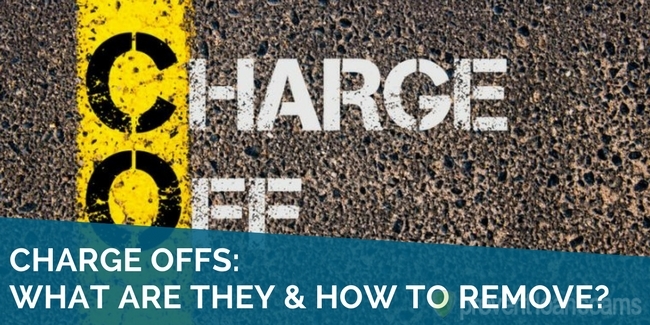 Educating yourself on debt collection firms and their practices can better prepare you in the fight to repair your good credit or keep it from being destroyed. Are you dealing with LVNV Funding and/or negative items on your credit report, and want them removed? Our research of the top credit repair companies can help. You may have seen LVNV Funding on your credit report. Understand that this is a debt purchasing agency. They purchase old debt portfolios from other companies. The portfolios include credit grantors and other debt buyers. LVNV Funding, in Las Vegas, Nevada, may appear on your credit report or letter. However, that does not mean someone from the company will be calling you. Unlike other negative items that you may find lounging on your report, LVNV Funding, LLC does not actively pursue delinquent debt. Instead, the company subcontracts the debt collection efforts. They do this with companies like Resurgent Capital Services. Both LVNV Funding and Resurgent are essentially owned by Sherman Financial Group, LLC. They work in tandem to secure funds for their business by collecting debt from consumers. 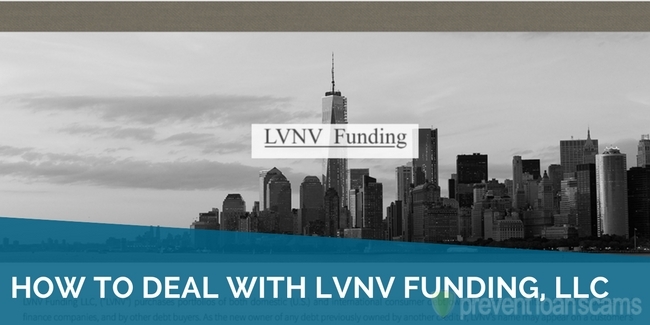 LVNV Funding can and will pursue you for an old debt. This is as long as they have a name, address, account and telephone number. These are the basic informational needs of the organization to come after you for money. Often times, this is all of the information that they have available to them. That is because they are in the market of purchasing old debt by the thousands. This means that LVNV may not have other information available to them. That information includes dates and recent payment histories. Without the correct dates of a debt, LVNV may be pursuing you for something older than 7 years. They may also not have current payment information if the previous owner tried to collect and the consumer decided to pay. LVNV will typically file a lawsuit. That is well within their rights if they own the debt and you owe the debt. They do this in hopes that you do not reply to the court summons or that they send the server to the incorrect address. You may have moved or your information has changed. In that case, more than likely, you will not become aware that this is happening until there is a judgment to garnish your wages. Those practices are unscrupulous. Therefore, it goes without saying that the company has many complaints against them. We read through many complaints. It seems that the most common occurrence from LVNV Funding is their tactic to sue someone, even for old debt. Because they buy debt portfolios, they are looking for maximum results with likely minimum effort. If you are not at the address of service to receive notice of a court date, LVNV may win their case against you. The occurrence of “not doing proper due diligence” can stand up in court. It is up to you to fight it. Another complaint about LVNV is that they pursue very old debts and judgments are made on debts outside the statute of limitations. This means that LVNV cannot legally sue you for the debt. However, they may attempt to, based on the information on their spreadsheet. Because of LVNV Funding’s limited information, other complainants have stated that the company refuses to validate debt even after several attempts. The only information they seem to furnish is the name and address of the original creditor. That satisfies parts of the Fair Debt Collection Practices Act’s (FDCPA) requirements. The common theme for LVNV’s practices seems to be that of minimalism. They’re discouraged to further pursue the consumer when more roadblocks are in the way. As stated above, LVNV Funding thrives by taking the easiest path to contact the consumer. They do that in hopes that the consumer does the least (or nothing at all) to counter the efforts to collect. This tactic may work for a percentage of the revenue generated by LVNV. However, there are times when you have the ability to halt their progress. The first step is to answer their letters with a certified letter (retaining a copy for your records). Then request debt validation within 30 days of receipt of their letter. They must halt collection efforts for 30 days once LVNV receives this letter. If you do not receive a letter with the information, then you can ask for deletion of the account based on failure to produce debt validation. If you are sent a court summons because you are being sued for the debt, it is best that you prepare by either filing debt validation letters, getting the Better Business Bureau involved to help in debt validation efforts, or contact the original creditor for verification of your debt on their end. If your original creditor shows that you have paid your debt in full or the last date of delinquency is outside the statute of limitations (SOL), then you can ask LVNV to stop collection and judgment efforts, as they would be violating FDCPA laws that state they must legally be able to sue you for the debt. If you find LVNV Funding, LLC on your credit report, you should tackle the issue immediately, as they work swiftly and simply. A credit repair agency can tackle their efforts immediately, sending out the right material and recording responses on your behalf. Credit repair firms have experience with debt collectors, and I am more than certain they have encountered and won against LVNV Funding, LLC. Your main goal with LVNV is to have them verify the debt, in hopes that they cannot. You also want to avoid a judgment, which you will owe even if the debt is not yours or valid. Even if LVNV does not legally own the debt, they may still attempt to collect money from you. It is in your best interest to follow procedures to remove the debt. Using the credit reporting agencies, the BBB (Better Business Bureau) or a credit repair firm as a middleman in dealing with crooked debt collectors may save you from paying thousands of dollars for a decade-old debt. 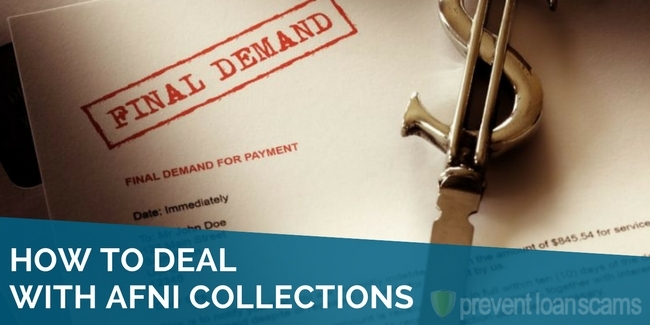 The debt collection industry can be lucrative for the businesses that participate, but often become a nightmare for consumers. The reappearance of an old debt can be both frightening and overwhelming, but you can take care of it. Companies like LVNV Funding, LLC may use certain practices that lead consumers into bankruptcy, but they damage their reputations and BBB rankings in the process. This makes consumers wary of dealing with the firms, leaving them susceptible to judgment cases. Never admit the debt over the phone. Being ahead of the curve allows you the necessary time to review the information presented to you and secure payment to pay off the old debts, if need be. When dealing with a firm that does not play fair (based on the number of complaints and reported lawsuits) your best defense is to have a knowledgeable credit repair firm in your corner. So I got a letter from an attorney’s office and I called them and they said the account is closed in their office and gave me a phone number to this LVNV Funding. I called the number and it was so static I couldn’t understand the person at all. This debt is a charge off on my credit report. Any help would be appreciated. Haven’t heard from LVNC, but 3 law firms have written me saying LVNV have filed suit against me but I may not have been served yet. They have spelled my first name all wrong, so technically the letters are coming to a non-person. May I honestly say there is no one here by that name if a process server comes to my home? Also, can they garnish/take any monies from me as my sole income is social security? I’m over 70 years old, too. I just received a court order of them Suing me for a very low amount. I called the 1800 number behind the card that their are suing me for and I got all the history when I made payments and so fourth. Their included information that the company of credit card was sold to three different companies within the same month and year. I never received a letter stating the company was sold to them and they will have my information going forward. Not did I receive a settlement offer from then which usually credit card companies offer. I never had any company sue me for any small amount below $800. What should I do now and what information can I track to take into court if I go forward in fighting with them in court. Any information will help so much. Thank you! How can you find out what the debt is? According to what they sent me, I never opened any account when they claim I did. I received a letter from WI circuit court saying my wages will be garnished and the creditor is LVNV. What can I do? This is from 2007 or before. My name is spelled incorrectly and my address is from 7 years ago. I got a letter from a law firm as well. Who do I contact for debt verification? Depending on your state, the debt may be deemed as noncollectable. Do not be intimidated if you are served with paperwork stating you are being sued… just make sure you educate yourself on the Fair Debt Collection Practices act and the attachment rule.. It is the Plaintiff’s responsibility to prove you owe the debt. Lol.. LVNV Funding LLC is now doing this electronically over the internet. I received 2 emails from them and I simply denied saying I owe anything through their asking process on their website. It is best to deny everything and make THEM PROVE it, if they take you to court, BECAUSE after all THEY BOUGHT the supposed debt from a creditor. Buying debt from a creditor no longer gives them the right to glean certain information from you because it invalidates the privacy act with the original creditor when they SOLD your account to another company. It is all hearsay if someone BUYS information from someone else. Period. My husband and I received a notice to appear for mediation where they bought an old cc that was charged off. We plan to go in hopes of settling on a lesser amount than what’s owed. However, we never received a letter or phone call that I recall. Obviously I’m going to go to court as I do not want a judgement against us. How should we proceed in mediation? If the debt is truly a debt that is beyond the statute of limitations for your state you have a slam dunk case for suing the attorney and his firm, as well as the purported owner(s) of the debt. 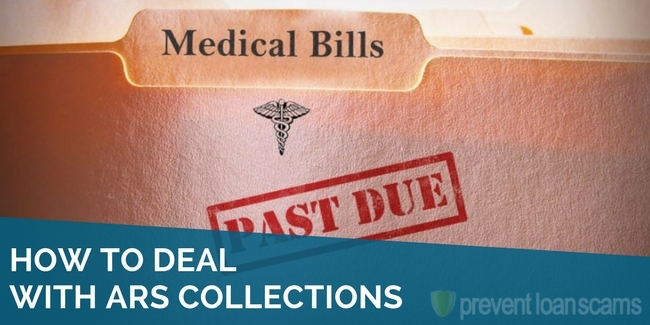 FDCPA statutes, it is unlawful to attempt to collect a debt that is not collectible by law. Start consumer law attorney shopping as they will settle it easily on a contingency, consider at least answering the complaint stated above, MOST OF ALL DON’T TALK TO THEM. Because you can easily toll the time clock if you indicate the debt as yours. Can I be taken to court if I’m on disability? Yes, you can be taken to court regardless. However, they CANNOT garnish your disability funds unless it’s suitable for child support, student loans or taxes. 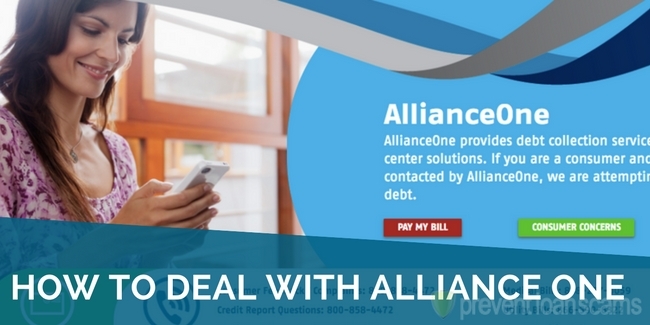 I have never received any calls or letters from this company and out the blue I get a credit alert and they put a collection on my credit but it has no information, like when the account was opened, who the creditor is or anything, just the amount owed. So I don’t even know what it is.. Should I just dispute it with the credit reporting agencies? Thanks! I received a letter from this company under my ex-husband’s name and the last four digits of my social trying garnish from my current place of work…. what should I do? Does anyone have an email address for anyone at LVNV? Secretary, VP, anyone? Beth. Do not waste a minute talking with collectors. Talk to a consumer law attorney and see if your documents they sent you are legit. Also please send them a very simple dispute letter within 30 days of receiving their claim. Good luck. How can I find out what month and year my collection is with lvnv? I was served with paper from this company and I was planning on going to the courthouse to answer. All they sent me was a Statement of chargers that was made. Also it skip months of Oct to Dec 2016 and then another statement for January 2017. So what should I say once I go to the courthouse to answer? I just contacted this company and they said that someone put a cease on the account. It was put on my account by an attorney or credit reporting agency. I asked for a debt validation letter. They said that they cannot send a letter until I take the Cease off of my account nor could I obtain any information on the account. What should I do now? I told them to leave the cease on my account and my lawyer will contact them. I have received no letter from LVNV funding but got a letter from a lawyer regarding a recently filed lawsuit. It is in my madien name (married in 2007) so this must be very old. I looked up the lawsuit but no information other than filing is given. I haven’t got anything from them so have no clue what it’s in regards to. What should I do? You have to file a response within 30 days of being served or they win a default judgement. If they have already gotten a default judgement you can still file a motion to vacate the judgement. Good luck with them.